Located along the banks of the Appomattox River and straddling Interstates 85 and 95 at the gateway to Southside Virginia, Petersburg is a town with a long and illustrious history. In its heyday during the first half of the nineteenth century, Petersburg was the eleventh largest city in the South. It was a manufacturing center and a railroad hub, and was well-known for its tobacco market and warehouses. Today, one hundred and fifty years later, sightseers can catch a glimpse of what life was like during both the city’s “golden age” and its time of misfortune during the Civil War. The City operates three museums which celebrate these periods of history. Sitting majestically on a hill dominating the cityscape, Centre Hill was built in 1823 by Robert Bolling IV, one of the city’s most prominent citizens. Upon entering this house museum, visitors can easily imagine themselves attending a formal, nineteenth-century ball in the beautifully furnished grand salon, or enjoying dinner in the elegantly appointed dining room. From time to time, the museum displays period clothing and costumes that also bring the history of the city and the house alive. Housed in the 1838 Greek Revival Exchange Building, the Siege Museum interprets civilian life in Petersburg during the Civil War. Exhibits focus on the ten month siege of the city during 1864-1865. No American city has remained under a military siege for a longer period of time. The museum galleries feature displays that eloquently describe the deprivations and hardships citizens endured from June, 1864, until the city fell to the Union Army on April 2, 1865. Drawing many tourists to Petersburg are Blandford Church and its celebrated Tiffany windows. Constructed in 1735 of handmade brick laid in the Flemish bond style, Blandford Church represents the best in elegant colonial architecture. Abandoned in 1806 after a new church was built downtown, Blandford Church fell into ruin. In the early twentieth century, however, the sanctuary was restored as a memorial to fallen Confederate soldiers, 30,000 of whom are buried in mass graves in an adjoining cemetery. The restoration included the creation and installation of fifteen memorial compass windows designed by the Louis Comfort Tiffany Studio of New York. Each of the thirteen Confederate states commissioned a stained glass window in honor of its war dead. These magnificent windows bear state seals and depict saints and their symbols. Two additional windows adorn the memorial chapel. The “Cross of Jewels”, which sparkles brilliantly in the late afternoon sun, was Mr. Tiffany’s gift to the project. The Petersburg Ladies Memorial Association, which organized the restoration campaign, donated a stained glass lunette inscribed with its name and the words “1866 In Memoriam 1909”. For more information about these museums and their hours of operation, visit www.petersburg-va.org. 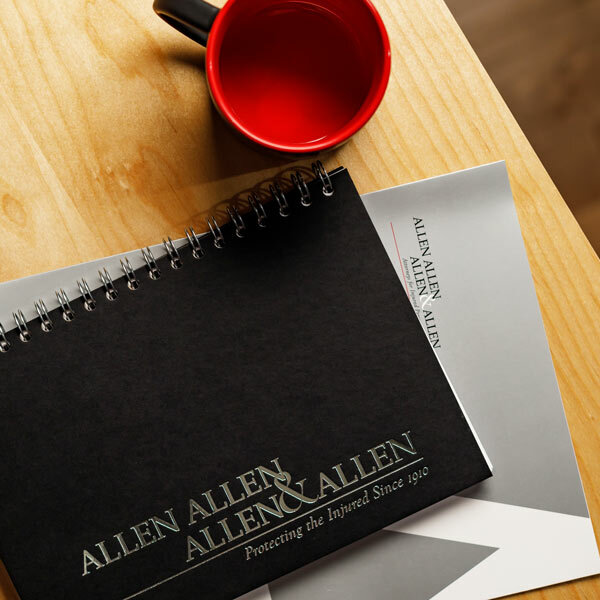 The personal injury law firm of Allen & Allen Allen and Allen is pleased to have an office in historic Petersburg. Petersburg accident attorney Paul D. Hux manages the branch. Mr. Hux graduated from The University of Richmond Law School in 1991 and has been practicing law for over seventeen years. He brings to the Petersburg a wealth of legal and practical experience in handling personal injury claims. He is assisted by an able and well-trained staff of legal assistants and a claims consultant, Robert L. Mertig.